To the land I will never know..
To the land I will never know …. I think I know you through abstract pictures I have drawn in my mind about you. 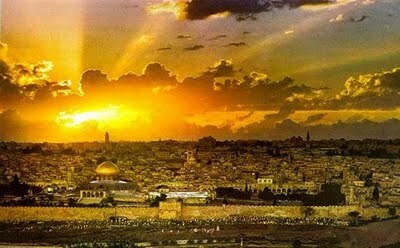 I pictured the birds singing over the old Jerusalem city. I felt the breeze over your beaches in Yaffa and Haifa, I touched the sand in my hands. I smelt the trees spread all over Akka. I walked through your countless masajed and churches. I walked through the crowded streets of Gaza. I breathed your air. I stopped breathing when I saw your breathtaking god-given beauty. I think I know you when I hear fayrooz singing ‘zahrat al ma’athen’. When she says ‘our eyes travel to you everyday’, I feel myself walking through Jerusalem and then praying in masjed Al Aqsa. 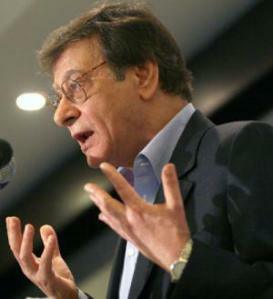 I think I know you through Mahmoud Darwish’s poetry. There’s on this land what is worth living, the lady of lands. the mother of the beginnings and the ends. It was called Palestine, its name later became Palestine. My lady, I deserve, since you’re my lady. I deserve life. Through his words, I picture a beautiful land that has been deprived of happiness, deprived of love, deprived of her beauty. I think I know you when I see a picture of the handala drawn by Naji Al-Ali, the refugee child. A picture so simple yet describes much of the struggle of the Palestinian people for justice and self determination. I think I know you through some traditional things we held unto with our dear life. The beautiful toob I wear and the Koofiah I keep in my closet. I think I know you when I eat zeet and zaatar in the morning and I eat msakhan for lunch. I think I know you when I see a picture of Yaser Arafat and when I watch your news on Al Jazeera. But the truth is; my human right to know you has been stolen from me. I will never know you, I will never know how it feels to touch your land, to breath your air or smell your trees. I will forever know you in my heart, my mind and my soul through abstract thoughts I have created for myself so I feel like I know you, my beloved Falasteen.